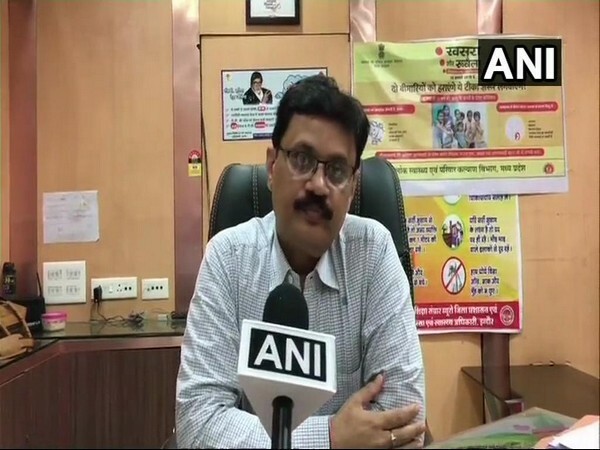 Indore (Madhya Pradesh) [India], Mar 23 (ANI): As many as 41 people have died due to swine flu in Madhya Pradesh's Indore. Jaipur (Rajasthan) [India], Feb 22 (ANI): Two people died of swine flu in Rajasthan on Thursday, taking the total death toll to 131 in the state so far this year. Jaipur (Rajasthan) [India], Feb 19 (ANI): Swine flu has claimed 127 lives in Rajasthan so far this year. Jaipur (Rajasthan) [India], Feb 17 (ANI): Swine flu has claimed 127 lives in Rajasthan this year, said an officials statement on Sunday. Jaipur (Rajasthan) [India], Feb 16 (ANI): One more person died of swine flu in Rajasthan on Friday, taking the total death toll to 126 in the state so far this year. Jaipur (Rajasthan) [India], Feb 14 (ANI): As many as 125 people have lost their lives due to swine flu in Rajasthan in the month of February. Jaipur (Rajasthan) [India], Feb 12 (ANI): As many as 79 fresh cases of Swine flu were detected in Rajasthan on Monday, according to data issued by the state's Health Department. Jaipur (Rajasthan) [India], Feb 10 (ANI): 87 fresh cases of Swine flu have been detected in Rajasthan on Sunday, according to data issued by the state health department. Jaipur [Rajasthan], Jan 31 (ANI): As many as 79 people have succumbed to swine flu in Rajasthan this year with a total of 2123 people across the state reportedly testing positive for seasonal influenza till January 31. New Delhi [India], Jan 31 (ANI): The national capital has seen an alarming rise in the number of swine flu cases with more concentration in Faridabad. New Delhi (India) [India], Jan 30 (ANI): The national capital has seen an alarming rise in the number of swine flu cases with at least 479 people testing positive for the infectious seasonal influenza and two government hospitals reporting a combined death toll of 11, so far this year.